Are you tired of your old, dull and ugly concrete? Is your concrete starting to become damaged from the elements or years of use? Well, our concrete resurfacing contractors in Des Moines Iowa have good news for you! We can offer our service to resurface your concrete and make you fall in love with your concrete all over again. We can transform your concrete from old rash and belonging in the trash to uniform, durable and beautiful. Allow us to tell you a little more about our services. Our concrete resurfacing contractors offer many different types of materials to resurface concrete that we are sure you will fall in love with. Not only are they aesthetically pleasing, but they are also functional. Many of our resurfacing materials are resistant to chemicals and wear and tear from daily life! 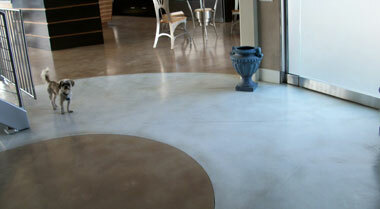 Concrete stain is a quick and easy way we can resurface your concrete. Acid stain is achieved by leveling out your flooring and using chemicals to color and give character. not only is this floor beautiful but it is also super easy to maintain! An acrylic concrete coating is perfect for areas that may be exposed to moisture such as swimming pool decks as well as food and beverage facilities. Concrete resurfacing with this material is extremely useful in wet environments as it offers an anti-slip coating for additional safety. Stamped overlays are king if you wish to replicate a material that would otherwise cost a fortune. Concrete resurfacing with this method won’t only save you money but it will also give you the look and feel of pavers or brick with the durability of concrete. Concrete resurfacing using epoxy is becoming the most popular solution for its spectacular appearance and superior durability. With an epoxy concrete floor resurfacer, you won’t have to worry about your flooring for as long as 20 years with many cases of flooring lasting even longer with proper maintenance. 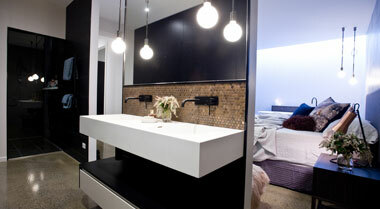 Polished concrete offers a very sleek and modern look. Concrete resurfacing this was is a simple yet labor intensive as your floor is ground down to relieve the concrete of any imperfections. Once all imperfections are gone, the concrete is ground with higher and higher grits every time to give it that shiny polished look. 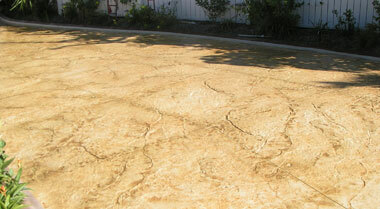 Basic concrete resurfacing is the most cost-effective solution to damaged concrete. While giving your concrete a simple and uniform look it provides a nice thick layer over your concrete slab. This thick layer of material will make your concrete durable and will last you many years to come! 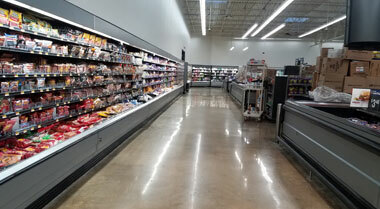 While the overall durability and lifetime of concrete resurfacing are already great selling points, the major factor is the customization of said flooring. All of our concrete resurfacing materials can be modified with any number of dyes, designs, and textures. No matter how you have designed your flooring in your mind we can replicate your dream with color flakes, metallic pigments. If you choose to go the route of epoxy, out concrete resurfacing contractors can even go as far to put your logo in a storefront or favorite sports team logo in your garage! No matter how you envision your flooring, whether sleek and modern or flashy and jaw-dropping our team of concrete resurfacing contractors will collaborate with you to make sure it is up to par with your dreams. We have been Des Moines Iowa’s top concrete resurfacing company for many years. From residential to industrial we can and will get your job done in a timely fashion. Call us today for a free quote! We understand that when it comes time to freshen up the appearance of your business a huge factor is how quick and easy it can be done. Our team of concrete resurfacing contractors have decades of combined experience so they know who to get an area resurfaced fast, we know time is money for your business. We also understand that when your concrete resurfacing is completed, you want to stick out from your competition. Well, don’t fret we have varieties of different colors and types of material to ensure that your storefront will make your competition green with envy. Our concrete resurfacing methods can also be used in warehouses as any of our methods are durable, can lighten up an area and be used to make markers that can direct traffic and mark barriers for worker safety. Many homeowners in Iowa are flocking toward concrete resurfacing for many reasons. Did you know that damaged concrete can dramatically reduce the value of your home? With any of our concrete resurfacing methods, not only will your home maintain value, it will actually gain value. Homeowners love the fact that they now have a different option from traditional floorings such as wood and tile. 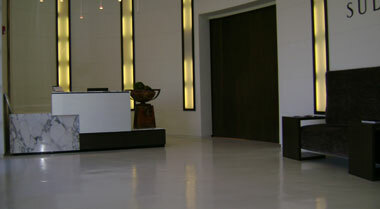 Our systems offer exclusive floor coatings that are beautiful enough to be considered a centerpiece in a room. Not only does resurfacing your concrete adds an alternative look to your home, but it also brings the performance of an industrial facility where it was never thought possible before. 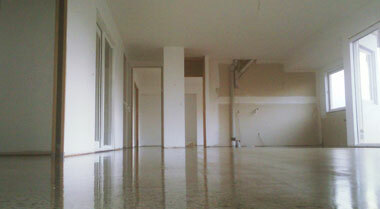 Concrete resurfacing isn’t just only the best investment for your home, it is the best investment for your future.